All parking spaces in town are marked with blue lines and need to be paid. Just a few meters from University there is a big one. If you book early enough, you will find a wide range of hotels, hostels and B&B’s in Trento. The University of Trento cooperates with dozens of accommodations, please check: https://www.unitn.it/en/ateneo/69096/hotel-rates-offered-to-the-university-of-trento. In order to get these prices, when you book, you have to state clearly that you are attending a University conference. The flat has a large living room with a kitchen, a sofa bed, 1 bedroom with 3 beds, bathroom (only accessible from the bedroom) with washing machine and shower. It is self-catering. Costs (minimum stay 2 nights): 1 pp: 56 EUR, 2 pp: 71 EUR, 3 pp: 86 EUR, 4 pp: 98 EUR, 5 pp: 110 EUR. This has 25 rooms, which cost: 1 pp: 50 EUR, 2 pp: 80 EUR, 3 pp: 105 EUR. You reach this hotel with bus no. 6. This hotel in Rovereto has many rooms available. It has a train station at 450 metres distance, called Mori. Trento can be reached from here within 30 minutes for about 4 EUR single. Trains run from the morning until 21:00h. If needed, EXARC will organise a little shuttle bus or joint taxi to return people in the late evening. Costs will be shared among the users. 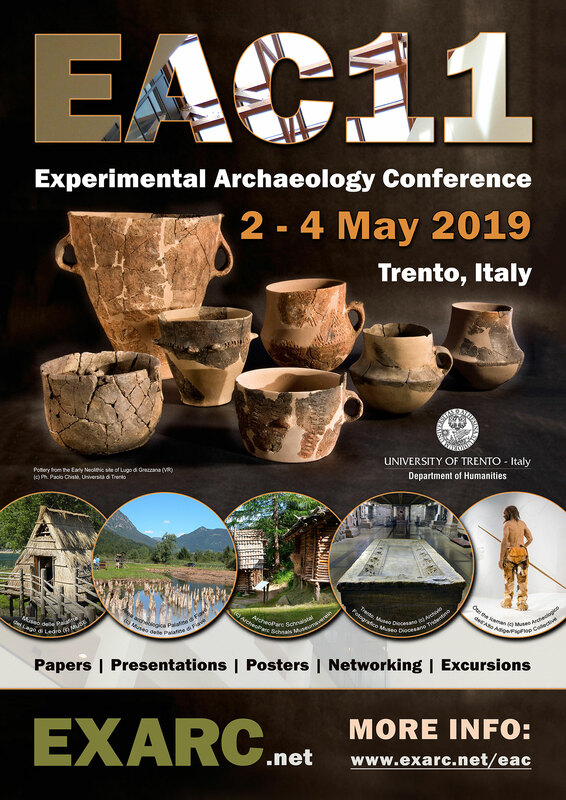 Please contact EXARC if you are interested.